Annual UDS or Annual Ultrasound in Neurogenic Bladder? Patients with neurogenic lower urinary tract dysfunction (NLUTD) are at high risk of having poor bladder compliance, making upper urinary tract injury a distinct possibility. Given the wide variety of causes of NLUTD and the risk of upper tract damage, it is critical to perform surveillance of these patients for deterioration in bladder function and upper tract injury. Two of the most popular methods of surveillance for these issues are annual renal ultrasound and annual urodynamics (UDS) testing. The role of periodic ultrasound examination is to assess the presence or absence of hydronephrosis. 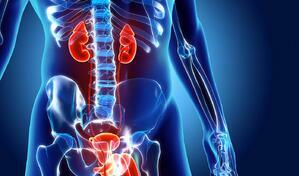 In addition, renal stones can be detected with periodic ultrasound, which are a source of morbidity in this population. This is a simple, inexpensive and readily available non-invasive test. The primary downside is that by the time hydronephrosis is manifest on ultrasound, there have likely been substantial changes at the level of the bladder. Regardless, numerous organizations, including the AUA, SUFU, EAU and NICE suggest periodic ultrasound is a key part in the surveillance of patients with NLUTD. Suggested intervals are between 6-24 months between exams and certainly at baseline. With regard to UDS study, two particular pieces of information are sought: what is the bladder compliance and what is the detrusor pressure? Low compliance is an issue, but defining that is elusive. Some authors have suggested a compliance of less than 20 mL/cm H20 is a risk factor for upper tract damage (nearly 70% in a study by Hackler in 1989) and the work of Weld and colleagues in 2000 suggested compliance of less than 12.5 mL/cm H20 is indicative of a high risk of upper tract damage. Clearly a poorly compliant bladder, which can only be assessed on a well conducted UDS study, is a risk for upper tract injury and an important reason to perform UDS in this population. A more established figure related to upper tract damage is having a detrusor storage pressure or a sustained detrusor pressure over 40 cm H20. This was established in the seminal work of Maguire and colleagues and has been widely adopted as a cutoff for possible upper tract injury. This value can only be assessed on UDS testing as well and as of now, this is considered the gold standard measurement to obtain in patients with NLUTD in assessing risk for upper tract injury. Patients with NLUTD represent one of the most challenging sets of patients we manage in urology. They require intense surveillance for a slew of urologic illnesses, especially upper tract deterioration. Renal ultrasound provides some information on the status of the upper tract and is an important tool in surveillance. UDS also plays a key role in evaluating and managing these patients, with baseline studies being essential and periodic repeat UDS testing to assess both bladder compliance and detrusor pressure highly suggested by numerous organizations.